I took this picture to illustrate how cold it is. Storekeepers frequently put out bowls of water for thirsty dogs out on their walks. It’s a sweet tradition. 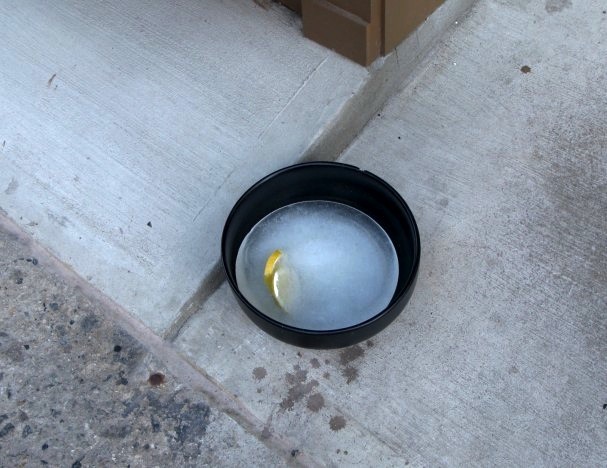 Someone put out this bowl of water and it quickly froze, but look closer. It has slices of lemon in it. This is both insane and endearing. This person not only wanted to give water to the dogs passing by, he or she wanted it to be especially tasty.